Cruise in unsurpassed comfort to some of the world's most secluded destinations on Silversea's incredible Silver Explorer, designed to navigate waters in some of the world's most remote destinations, including both of earth's polar regions. Adventure-seeking travelers will be thrilled to cruise on this fabulous ship on incredible voyages. Observe penguins, dolphins and whales in the wild, encounter isolated tribal cultures, enter the realm of polar bears and witness isolated tribal cultures while enjoying fabulous amenities, exquisite cuisine and fabulous wine selections. Combining true expedition cruising with an elegant onboard lifestyle puts the Silver Explorer in a class by itself, with a name that evokes a sense of luxurious adventure. 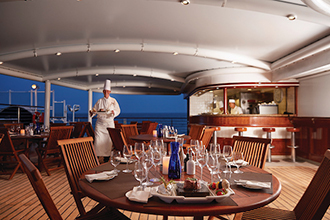 Enjoy authentic adventures as you are pampered by Silversea's trademark all-inclusive indulgences. Offering full-scale exploring from this ultra-luxury base at sea, cruise in amazing Silversea style. Enjoy spacious ocean view suites (many with French balconies or private verandas), butler service and delicious gourmet cuisine. 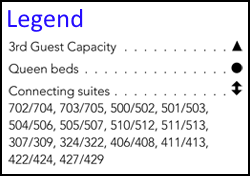 Experience warm hospitality and personalized service, with a crew-to-guest ratio of nearly one to one. 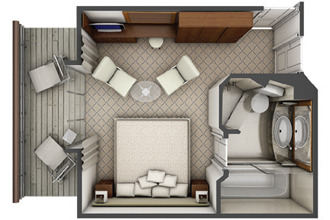 Silver Explorer's generous selection of all-inclusive amenities include complimentary beverages, bottled water, wines and spirits served throughout the ship, 24-hour room service, stocked in-suite beverage cabinet and all gratuities. Accommodating just 132 guests, the stunning Silver Explorer escorts you to places you have always dreamed about, with expedition teams of expert guides who will enrich your cruise adventure. Join other discerning world travelers as you enjoy a friendly cosmopolitan ambiance. 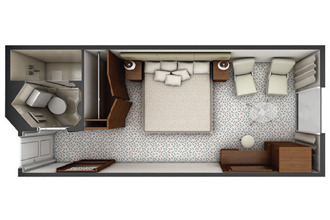 Enjoy a full-service spa, beauty salon and sauna, two top-deck whirlpools and a spacious library with an Internet café. Stimulating conversation with other discerning world travelers adds to the appeal. 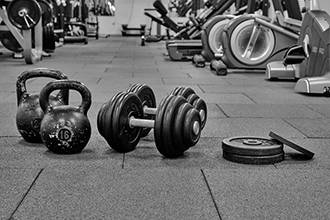 Shop at the Boutiques featuring designer collections and duty-free items, indulge in a rejuvenating treatment at the spa and take a Pilates class at the fitness center. Elegant dining is offered at The Restaurant, which sparkles with crystal, silver and the glow of candlelight. Fabulous menus feature regional specialties unique to the destination. During sea days, select from the fabulous La Collection du Monde, a series of delicious signature dishes created exclusively for Silversea by the Grands Chefs Relais & Châteaux. Enjoy open-seating dining with no assigned times or tables and al fresco dinners at the Outdoor Grill. Gather in The Theatre for lectures and seminars by experts in a variety of fields and to hear fascinating tales of adventure about a region's wildlife and nature. 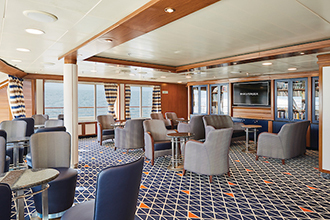 Relax at numerous venues, including the Panorama Lounge, designed to provide an uninterrupted view of the day's destination from the comfort of the ship's interior. Unwind to the soothing sounds of a piano as you enjoy a nightcap with new friends. 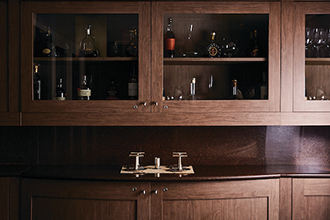 Enjoy a fine cognac and cigar at The Connoisseur's Corner. Silver Explorer has 66 all ocean-view suites and staterooms featuring tasteful appointments, as well as private marble bathrooms with bathtubs. 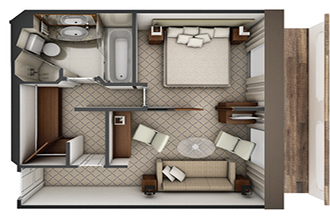 Offering the ultimate in personalized pampering, personalized butler service is also provided. 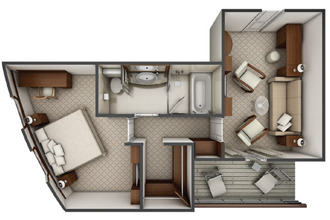 Created for the discriminating traveler, 20 premium suites offer between 351 to 675 square feet of luxurious living space. 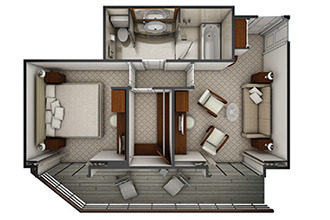 Select suites feature double private French balconies or large private verandas. Cruise to worldwide destinations on the luxurious Silver Explorer including Antarctic Cruises in South America, Panama Canal and Northern Europe. One of the healthiest cuisines to exist, The Grill features lava stone cooking at its finest. Sourced from volcanic rock and placed in an oven to reach an optimum temperature of 400°C, The Grill invites guests to cook their food directly at their table. Place your meat, fish or vegetables on top of the grill stone or inside the soup bowl, and then simply cook to your very own taste. Every bite is cooked to perfection, time after time.With the stone cooking available in the evenings only, The Grill becomes a daytime rotisserie and gourmet salad and burger bar, offering build your own burgers from the best selections of meat. The Restaurant serves contemporary, international cuisine with sophisticated elegance and impeccable service. 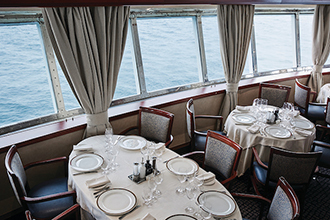 Menus feature regional specialities unique to the voyage destination, for example, Roasted Chilean Sea Bass while cruising the Chilean fjords. 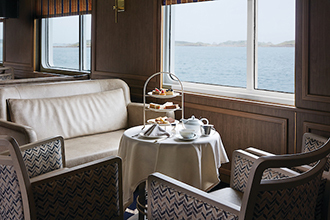 During days at sea, choose something from La Collection du Monde, a series of signature dishes created exclusively for Silversea by the Grands Chefs of Relais & Châteaux. The Restaurant offers open-seating dining, which means there are no assigned times, no assigned tables. You are free to dine when, where and with whom you please on this luxury cruise. 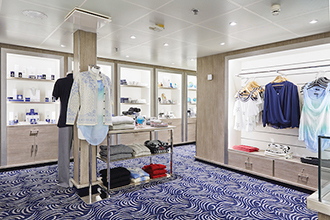 An exceptional shopping experience begins onboard Silver Explorer’s brand-new boutique. Silversea’s striking new and bigger shipboard boutique has been reimagined and redesigned to offer guests a carefully curated selection of products. Expect everything from cutting edge fashion, jewelry, accessories, fine perfumes and cosmetics to postcards, books and pictures from the Royal Geographical Society. Discover new brands renowned for blending tradition, innovation and exceptional quality while curious window shoppers can browse the stunning live vitrine from the corridor. A full range of salon services is available for both men and women including hairstyling, manicures and pedicures. 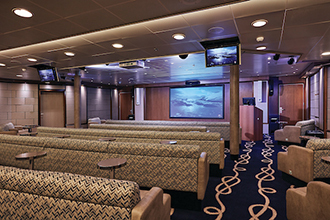 Appointments for these chargeable services may be made on board the ship.